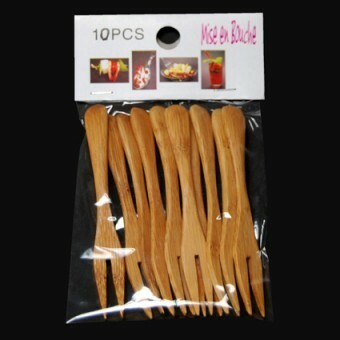 Natural looking wooden utensils really add a touch of extra detail to the table. 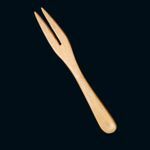 The perfect size for canapés, these mini bamboo forks have just the right proportions to be easy to use as well as attractive to look at. The two pronged design is sturdy enough to hold even quite small morsels of food. In fact these forks will work well lined in rows as part of the canapé presentation. Just imagine them standing to attention ready to be picked up and enjoyed instantly. Bamboo Mini Forks x10 has not been evaluated yet.